Do you know your Riyria Trivia? 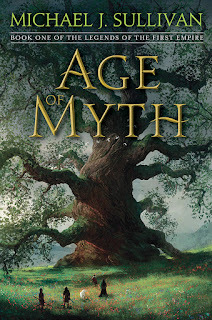 Do you want a signed copy of my upcoming book Age of Myth? Well put your skills to the test and you might just be a winner. I've created a quiz on goodreads with ten Riyria questions. Hop on over and answer as many as you can. Goodreads only shows 30 people who have answered the survey, so you need to let me know you took the quiz. You can do this by (a) making a comment on the quiz or (b) go to this survey and copy/paste the URL of your goodreads profile page. For each right answer you'l have an additional entry into a drawing I'm doing for a signed copy of the book. Note: This contest is open to people no matter what country you are in so no worries about locale. Even if you haven't read my previous books, you should be able to answer the questions with just a little bit of online research -- or ask your friend who has read them. I'm going to list the questions here so you can do your research before you take the quiz. What does "Riyria" stand for? Who said, "Sometimes the price of dreams is achieving them?" What does Royce call a Gilarabrywn in Heir of Novron? What was the name of the girl that Hadrian had a crush on as a young boy when living in Hintindar? Who was Royce's best friend while in the Black Diamond Thieves Guild? What nickname did people call Hadrian when he fought in the arenas of Calais? 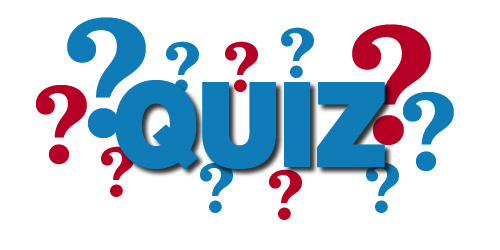 What is the name of the lost city that was once the capital of the First Empire? What is the name of Arista's body guard through most of the Riyria novels? In what way is Esrahaddon disabled? There you go. And good luck! We are just 2 months and 2 days away from the release of Age of Myth, are you excited? I know I am. I think Del Rey is as well, and they are giving away 200 copies of the Advanced Reading Copy of the book over at Goodreads. As you can imagine, mailing 200 copies could get really expensive if that included foreign countries (which can cost $20 or more per book). So Del Rey has limited the giveaway to people within the US. But I want to give people everywhere a chance to read the book two months before its release, so I'm running a parallel giveaway which is open to people everywhere. Not sure what the book is about? Well, here's part of the copy from the back of the book. Since time immemorial, humans have worshipped the gods they call Fhrey, truly a race apart: invincible in battle, masters of magic, and seemingly immortal. But when a god falls to a human blade, the balance of power between men and those they thought were gods changes forever. 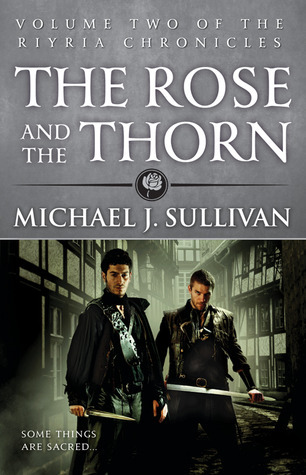 Now, only a few stand between humankind and annihilation: Raithe, reluctant to embrace his destiny as the God Killer, Suri, a young seer burdened by signs of impending doom, and Persephone, who must overcome personal tragedy to lead her people. I hope you'll sign up for one (or both of the giveaways) and if you do, I wish you good luck in the drawings. But do so soon, they're only lasting a bit over a week. It’s tax time here in the U.S., a time usually associated with heartache and pain. 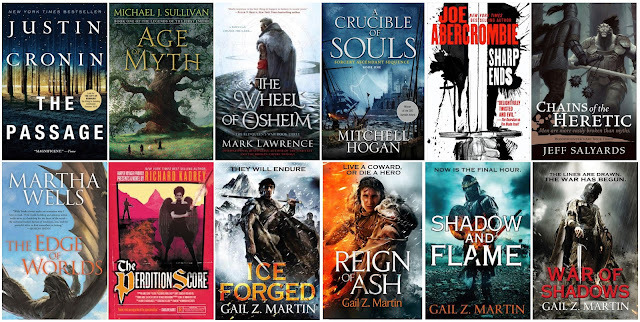 To make things easier, myself and a fine group of authors got together and steeply discounted our books between April 12th – 16th, some of which are free! 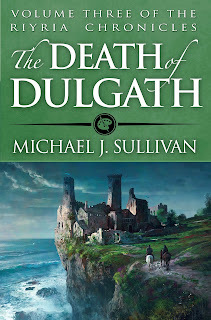 For me, I've put The Death of Dulgath on sale: 30% off print copies bought from my site and I've reduced the ebook in the major retailers from $9.99 to $2.99. That’s a killer set of books, y’all. Surely you’ll find something you like, yes? Be sure to nab them quick, because in only a few days they’ll be gone. And if you know anyone who might like to take advantage of these great deals before they’re gone, please pass along the word. A quick mention on Twitter or Facebook wouldn’t hurt either. Readers of my blog know how much I love Kickstarters and helping fellow authors, so today's post allows me to combine both of these things. I want to introduce you to the New Voices in Fantasy Fiction - Books with Magic and Dragons project launched by the amazing Brian Rathbone. 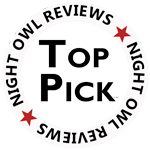 For those that don't know, Brian is the best-selling author of the World of Godsend fantasy series. A fellow self-published author, he's done amazingly well with it and is now expanding his universe through a new Kickstarter with three new books in his world. But, the really cool thing about this Kickstarter is Brian one-upped my "Author Helping Author" aspect of The Death of Dulgath. I included a short story by an up-and-commer in that book, but Brian collaborated with two new authors to produce these novels! Brian Rathbone - Born and raised on a horse farm in southern New Jersey, Brian Rathbone never did quite fit in--still doesn't. If you need someone to take you on an adventure or to tell terrible dragon jokes, Brian is your man. He lives in the mountains of North Carolina with his wife and some very spoiled cats. Morgen Rich - Morgen Rich grew up in the southwestern U.S., where the sky reminds humans just how small they really are. She lives mostly in Pennsylvania with her husband and two Great Pyrenees, Bianca and Tahoe. On occasion, she lives in Lincoln, England. Founder of Bookmite Press and a member of the Broad Universe board of directors, Morgen is an active member of the speculative fiction profession. In addition to Ascension, a YA fantasy novel set in co-writer Brian Rathbone's Godsland world, she's also the author of the adult epic science fantasy novels, Incorrigible (2013) and Discordant (2016), both set in her imaginative Shifting Worlds universe. Jack McCarthy - Jack McCarthy was born and raised in Salem, NJ and is a long-time resident of Cleveland, OH. 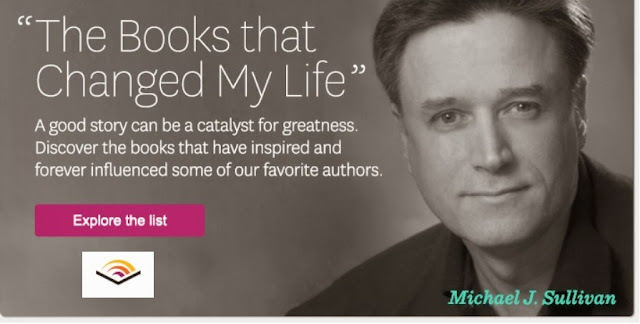 His lifelong path to writing has included: dishwasher, video store clerk, taekwondo instructor, factory assembly worker, telemarketer, casual letter carrier, office temp, door-to-door vacuum cleaner salesman, phone psychic, cashier, gas station manager, flight attendant and software engineer. This combined skill set could belong only to one destined to write fantasy novels. The Kickstarter is very well thought out, it's goal is very reasonable, and he's got a lot of well-priced reward levels. Not only that, but he's assembled an amazing team to ensure a high quality release. Here's some of the people he's brought to the project. The Kickstarter has just launched and at present they are already 37% into the $4,000 goal. So if you like great stories, want to help an author that is helping other authors, and want to make this project a reality, go to this page and pick a reward level you like. I know I'll be backing it. Here are some books currently with Goodreads Giveaways that caught my eye, and I thought others might be interested as well. Good luck on the drawings!